Phuket was well known as an important source of tin since Ayutthaya period, however, its rapid development occurred after Burma was defeated by the British that a tin market was founded in Penang, very near to Phuket. 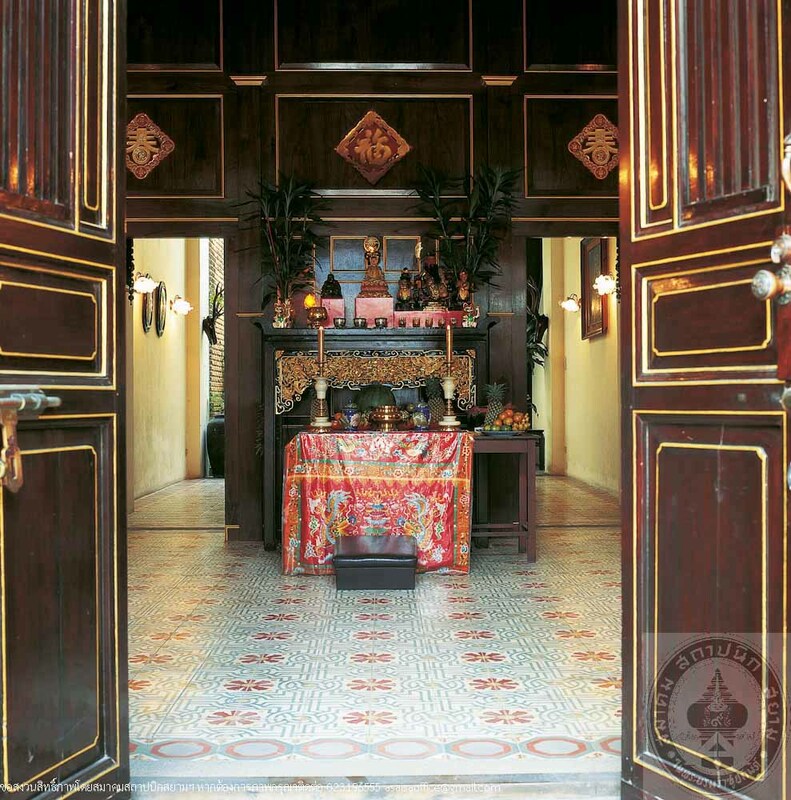 Thus, in early Rattanakosin period, Phuket began to gain a considerable prosperity. 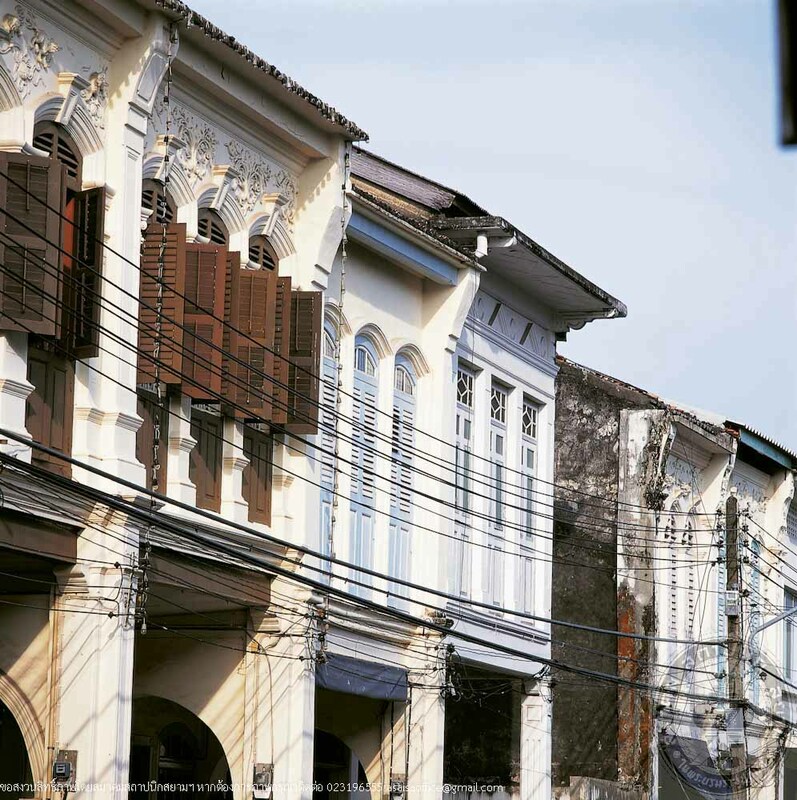 The prime time was during King Rama V’s reign when people were wealthy and the town stably settled. Phraya Rasadanupradit (Kho Sim Bi Na Ranong), the Governor of Monthol Phuket, had laid out a master plan for Phuket development i.e. the design of row houses with a front arcade in order to make a shelter for pedestrians, building of large gutters along every road to prevent the town from being flooded, etc. His works still exist as seen today. 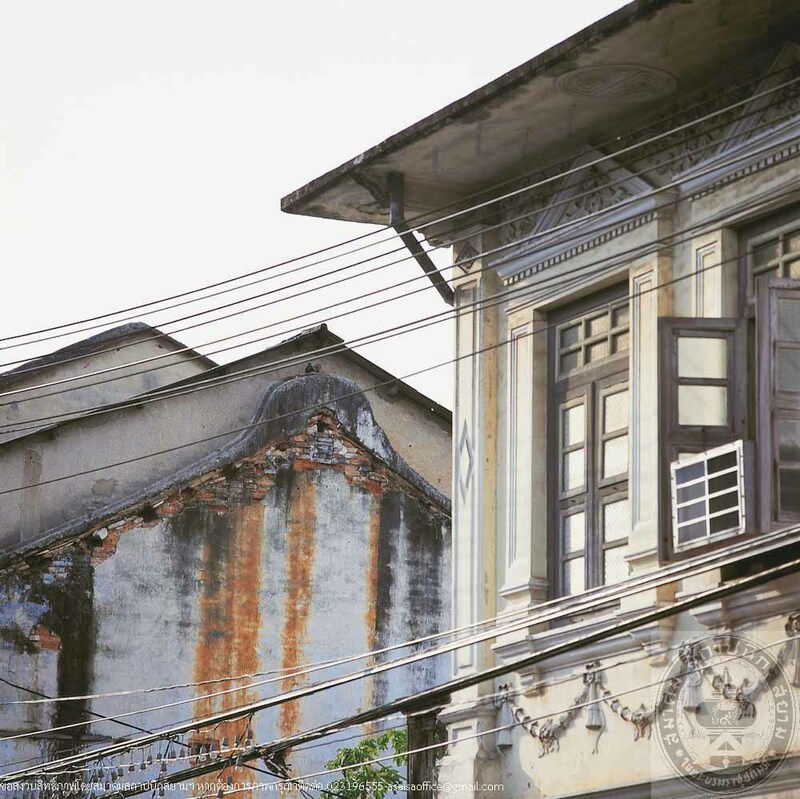 The architecture of Phuket row houses are influenced by those of Penang and Singapore, the Sino-Portuguese style. This was resulted from the affinity between Phuket and those towns. It was also a fashion for wealthy families to send their sons and daughters to study in Penang in order to gain fluency in foreign languages, especially English and Chinese. 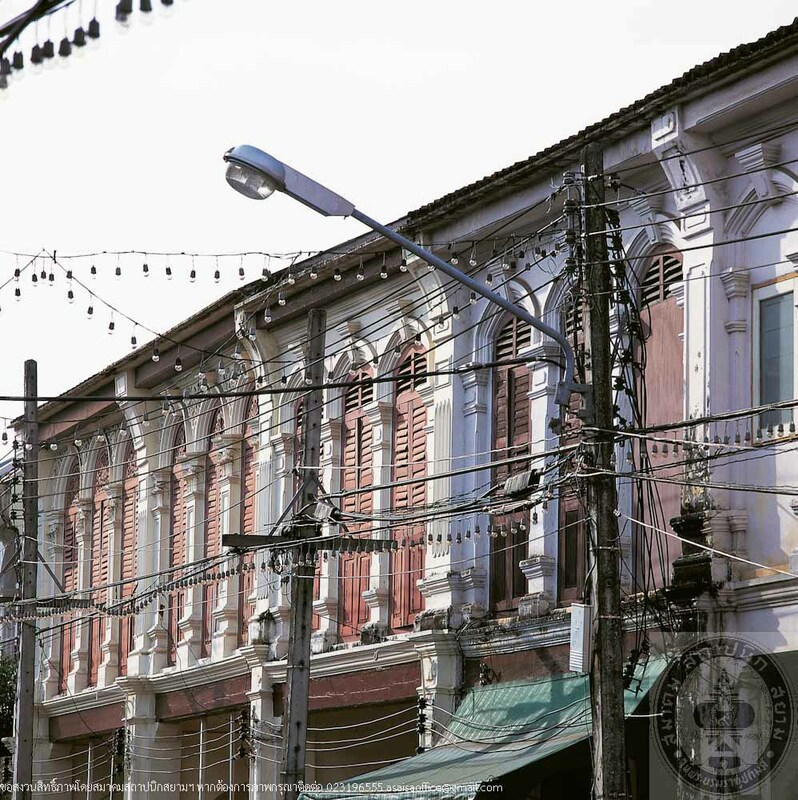 Thus familiarity with Penang and Singapore styles was comprehensible. The row houses in the city centre may be categorized into 4 main groups. The first, the earliest type is characterized by building of one or one and a half storey, Chinese style, with elaborate decoration in Chinese designs and motifs. The third is the Sino-Portuguese style, the most frequently found, which is a mixture of Chinese structure and European details. The last type is the European Art Deco style, which has rather simplified, or geometric decorative patterns. This last and youngest group is reinforced concrete structured which dates 60 – 70 years. 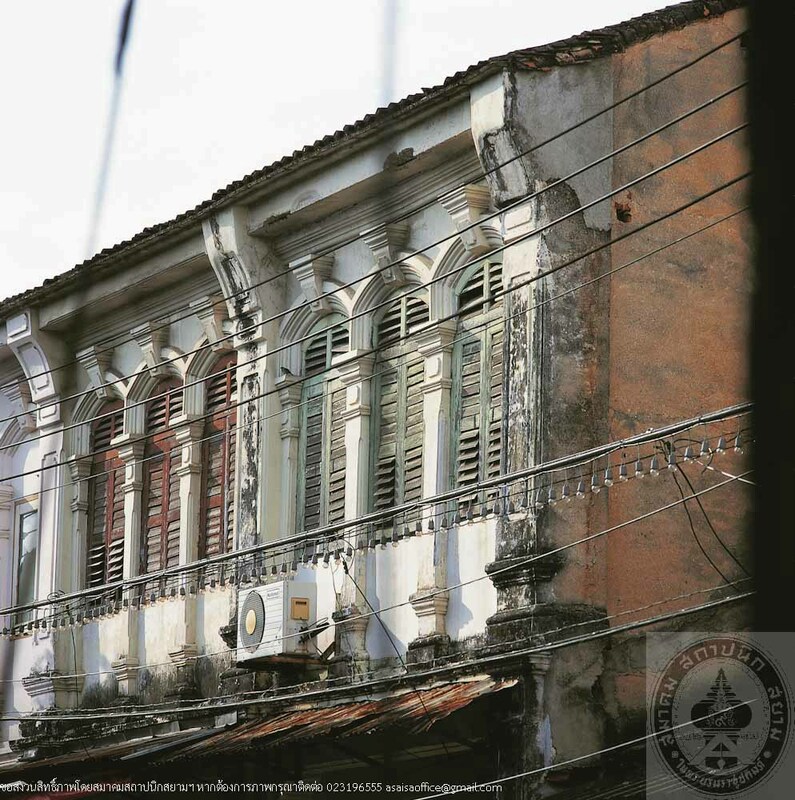 Most of the historic buildings in the heart of Phuket have been conserved and used, which is a great success in terms of conservation. 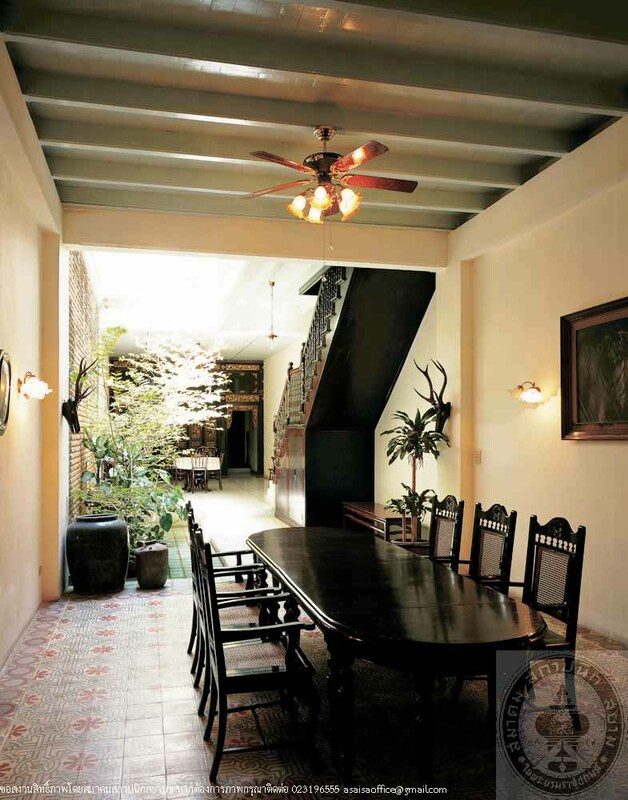 The Phuket people as well as several organizations have collaborated in conservation; however, the owners have the highest credit for their awareness of the value of their properties, and their willingness to keep them to last into the future.